Dalkey Archive Press, 9781628971088, 112pp. A child who will be named Johannes is born. An old man named Johannes dies. Between these two points, Jon Fosse gives us the details of an entire life, starkly compressed. 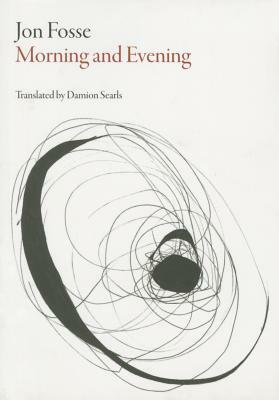 Beginning with Johannes's father's thoughts as his wife goes into labor, and ending with Johannes's own thoughts as he embarks upon a day in his life when everything is exactly the same, yet totally different, "Morning and Evening" is a novel concerning the beautiful dream that our lives have meaning. Called "the new Ibsen," and heralded throughout Europe, Jon Fosse is one of contemporary Norwegian literature's most important writers. Born in 1959, he has published some thirty books of fiction, poetry, drama, and nonfiction since 1983.